Planning on homegating this game season? Then this is what you need. 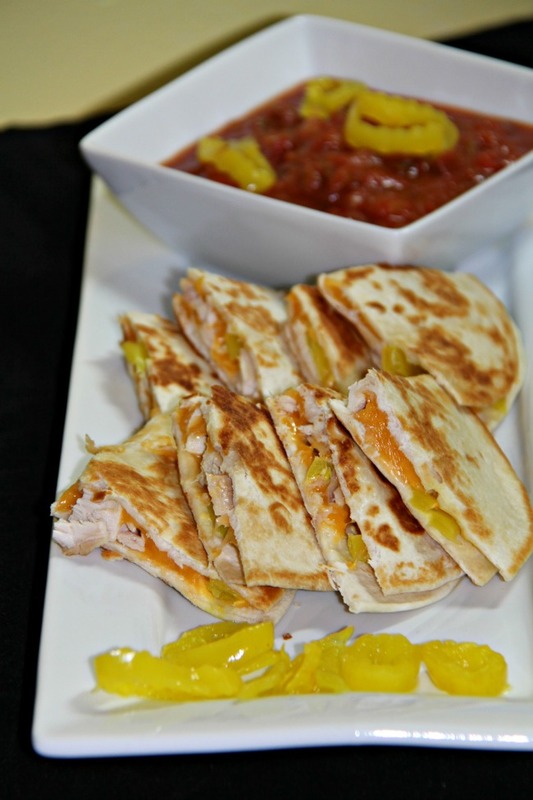 These Chicken, cheese, and pepper quesadillas are easy to make up and everyone tends to love. The only problem with them will be how quickly they fly off the plates. But since they are simple to make, it won’t be a bother to make up another batch. I love watching a lot different sporting events but I don’t actually like going to them. It’s not that I don’t like going, I should rephrase that. I like going, depending on what it is. But for certain events and games, it is more fun to be at home, with some some friends and do a little homegating, (at home tailgating in other words). I can make the great foods that I like and we can all just hang out and have fun. 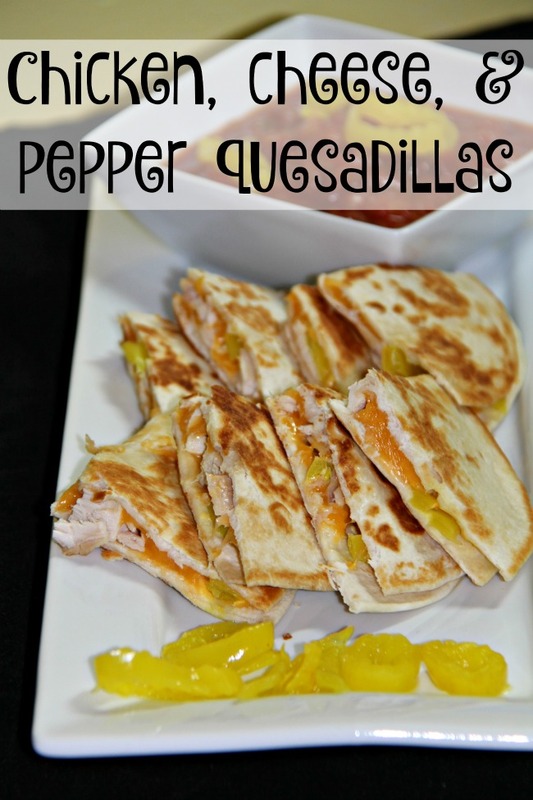 That is why these Chicken, cheese, and pepper quesadillas are SO SO SO good. They are based on the quesadillas that I love to get from Wawa. Those of you who don’t know what Wawa is, and I feel sorry for you, it is a convenience store that has the best coffee and deli where you can order food. Nothing beats it. It is the one thing that I miss whenever we travel. I have searched a long time to find peppers that are like theirs and I finally found some that are as good, and possibly even better. Please don’t tell Wawa that I said that. The peppers is what takes the quesadillas over the top. 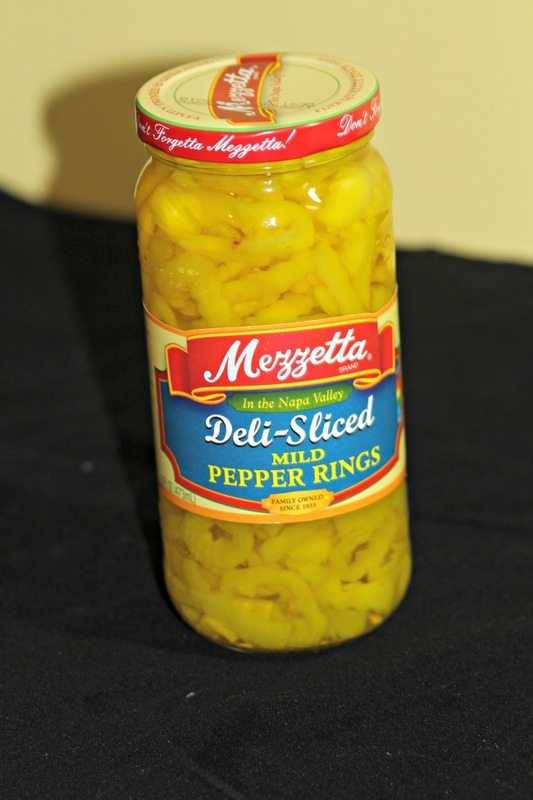 Mezzetta has a full line of peppers to choose from. Mezzetta has been family owned since 1935. Now, the fourth generation of Mezzetta family is making sure to bring the same commitment to bringing the highest quality foods to their customers. Knowing that I am using high quality ingredients that don’t come with a high price tag is important to me when I am creating recipes to serve my family and friends. Chop up the cooked chicken. I like to take a short cut and use a rotisserie chicken. It means that I do not have to waste time cooking the chicken and since we only need a little bit of chicken, I still have the rest of the chicken for another meal or making something else like buffalo chicken dip. Heat a skillet and add butter to the bottom. Place a tortilla shell in the skillet, top with cheese chicken and peppers. Add more cheese on top. Place another tortilla on top. Be skimpy with the ingredients because stuffing too much into a quesadilla makes them fall apart. As the bottom tortilla starts to brown, flip the quesadilla over. Brown on the other side. Once both sides are browned, remove from the heat and slice. Serve with salsa. How would you like to have a to watch the big game on? Enter the Homegating Sweepstakes! • Grand Prize (1) – 55” 4K LED TV plus the Mezzetta Homegating Party Pack including Mezzetta branded football, blanket, pint glasses (4), cooler, party tray, cocktail napkins, and a jar each of Mezzetta Whole Golden Greek Peperoncini, Deli-Sliced Tamed Jalapeños, Deli-Sliced Mild Pepper Rings, Sliced Golden Greek Peperoncini, Roasted Bell Peppers and Deli-Sliced Roasted Bell Pepper Strips. Winner will be notified and will receive prize within 2 weeks. Be sure to enter. Good luck. Hey everyone. We are Debi and Don. Recently engaged, we are raising our kids while seeking adventure everywhere we go. Located outside of Philadelphia, we love to travel and eat. If you are interested in working with us, please email Debi@EatSleepTravelRepeat.com.